Before this goes any further, an apology is in order. Readers who regularly go to Bible Lands Explorer for a diet of mildly frivolous data are worried. I know because I get your emails. People ask: Did you fall off your camel? Slide backwards into a mountain crevasse? Get arrested by the Mossad? While all of these options are likely explanations for my absence, not one of them is true. Let me put everyone’s fears to rest. In so doing, you will understand why our smorgasbord of stories has grown cold. Signage from Khirbet Qumran. Love the lego-man! First, realize that I have now been living out of a suitcase (more or less) since May. I am not complaining, mind you. I enjoy the nomadic life. It has a distinctive . . . flavor . . . that comes only as result of dining regularly on Ramen Noodles, washing your underwear in the sink, and riding yaks. Still it does get old. Have you ever opened your eyes in the morning and struggled to identify your location? What city is this? On which continent? Whose yurt am I in? A good friend of mine who teaches theology has this experience regularly, although I suspect it has more to do with his past life than it it does with the experience of sustained travel. In my case, I have logged approximately 35,000 air miles since March, and quite possibly, have eaten the same number of peanuts. 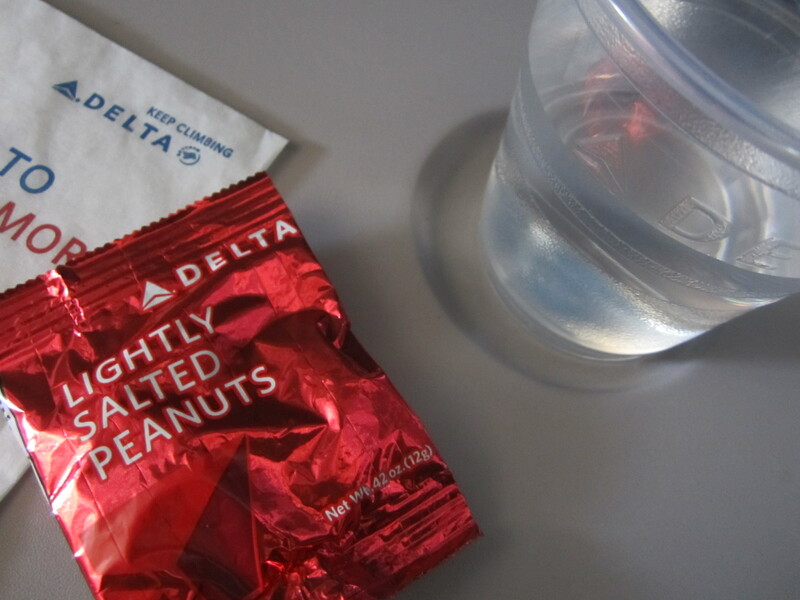 As everybody knows, airline peanuts are not what they used to be. Viewing these handouts as free meals may even be considered a poor subsistence strategy, as the calories gained from eating the nine and a half peanuts in each bag does not even begin to cover the amount of energy required to rip through the packaging with your teeth. Recently, it was rumored in an airport gate (I overhead it while sitting on the floor and charging my phone) that a guy literally starved to death on a Delta flight between Los Angeles and Sydney, Australia. He tried eating airline peanuts for seventeen hours straight but in the end, was unable to overcome the caloric loss of ripping and chewing. I can’t imagine a more horrible way to die. This is why I always carry my own 16 ounce jar of dry-roasted Planters and do my best not to flaunt it in front of my fellow coach-classers. Be careful when relying upon airline peanuts as a subsistence strategy. Image from here. Second, realize that I am now living in student housing and teaching on a new university campus. After twenty years of developing courses at the seminary level, I thought it would be fun to throw all those notes out the window and start over by developing new classes at the undergraduate level. Ha! Ha! Ho! Ho! What a great idea! No wonder I’m not getting anything done. I shouldn’t complain. The student housing is really quite nice. I have everything I need. Except my wife. I miss her terribly, but the fact that she is not here has some advantages. For example, I can decorate my place as I please. I have recently been accenting the living room using nothing more or less than dirty clothes. Lest you think ill of me, I can tell you there are clean clothes drying in the living room even as I write. They are hanging from the ceiling fan. In the end, becoming acclimated to life in central Florida may take a while. It’s not that this place is odd, it is just unique. Do you know that there is a nearby attraction called Gatorland? There, they collect reptiles big enough to give Godzilla a run for his money. And they do this on purpose! Whodathunkit? For entertainment, they put dead chickens on wires and watch these beasts leap clear out of the water for them. Whooo-hooo! The drool flows, the eyes roll back, the jaws snap. And that’s just the tourists from Georgia! Note how the alligator manages to balance the man carefully on the end his snout in the moment before he eats him. It is a feat of skill and daring that never fails to entertain. Image from here. Another illustration of the oddity of central Florida: I have learned that this area has a grand tradition of cowboying and cattle raising. As my own DNA originates in Eastern Oregon, home to open ranges and the famous Pendleton Roundup, I’m thinking that I will feel at home very soon. Would you believe that on the highway to Cocoa Beach (the opposite direction from Gatorland) there is a “Western Store” where the gals and fellas can buy boots, cowboy hats, and possibly bolo ties (I say “possibly” because I must confess I haven’t been inside yet, but I can’t imagine anybody calling themselves a properly dressed cowboy without a turquoise stone bolo). Who would have guessed that you could find anything “Western” in this hemisphere at the 80th meridian! I feel a cowboy song coming on. And the bogs are a soupy black sump. Needless to say, such novelties have slowed our delivery of Bible Lands Explorer. I promise to get to get back to it soon. Right after this upcoming local festival. With a name like Swampfest, it should be real good. Swampfest is right around the corner! Wee-doggies!